LISTEN: Unlocking Your Psychic Abilities Podcast | True Insights Spiritual Energy Healings and Readings with Joe Gacoscos Intuitive Channel, Psychic Healer, Starseed Awakening & Psychic Development Teacher | Serving Silicon Valley, the East Bay, San Francisco Bay Area, Union City, Fremont, Hayward, Newark, CA and Beyond! 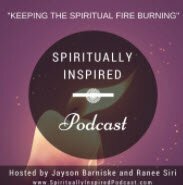 I was recently featured on the Spiritually Inspired Podcast. In a lively discussion, we cover everything from developing your psychic abilities, synchronicity, how to ground, 5th dimension spiritual awakening, channeling, to even discussing how I did giving them each a reading! Did I pass the test? Check it out! Who has the ability to be a psychic? How to awaken and develop your psychic powers? The different types of psychic abilities and which powers you have. How your spiritual practice helps to unlock your psychic ability? What is synchronicity and why it matters to you? 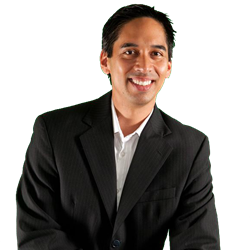 He shared a powerful grounding mediation that everyone can benefit from using. What is the Fifth Dimension and what does it mean to us? How to read people’s energy and when is it appropriate? What is channeling and how you can learn to channel? Joe Gacoscos is a psychic development teacher, spiritual radio host on News for the Soul, and author of "Journey of the Awakened Psychic". If you feel like your psychic senses affect your ability to function normally in life, read on. There is a totally different path available to you: It’s one where you take control of your abilities—rather than your abilities taking control of you… Apply for a confidential strategy session at https://www.trueinsights.net/apply.